Exorbitant demand across Melbourne for properties with pre-approved planning permits has revealed the evolution of a precious new commodity in an already booming property marketplace. Following the recent sales of a number of high profile sites by hotly contested local and international investors, industry sources are pointing toward a new trend in the residential market. Developers, seeking to bypass sluggish council processes and regulations, are choosing instead to set their sights on land parcels with existing development approval with a view to commencing construction of projects immediately. In the past five years alone, the marketplace has experienced a dramatic shift in its consideration of conventional residential development mechanisms. Where previously developers sought premium land acquisitions prior to applying to council for suitable permits, contemporary rationale has shifted the onus toward sourcing land parcels with current permits with the aim of expediting the council’s stagnant processing. Not only are permit approved properties in high demand, but more importantly, they are particularly difficult to source. It is common knowledge amongst developers that in the instances that properties with existing development permits do surface, a premium sale price will be expected. However, this is not deterring developers that are willing to purchase these permit approved properties with the objective of minimising their risk through avoiding council lead times of up to 2-3 years whilst subsequently reducing their holding costs, which often, can be a large portion of the projected profit for a project. Permit Ready suggests there has been a significant increase in permit approved properties for sale within the last 12 months. 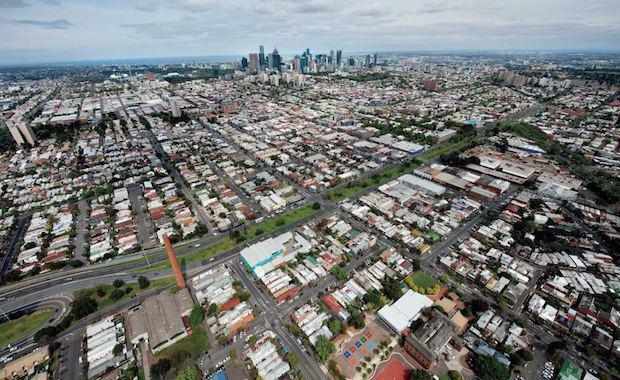 “Property developers these days conduct a number of risk minimisation methods when evaluating their development projects, and with land values in their current state, they cannot afford to fight with council and possibly VCAT for in some case, up to three years. It is simply an unviable business model," Mr Materia said. Selling or buying a property that contains an existing planning approval is a reputable strategy which effectively produces beneficial outcomes for both parties. For buyers, the advantages of a property with planning approval include:- A reduction in the time and associated costs of applying and obtaining planning approval. (This can be a major benefit if there are any planning regulations, if the site has any complex constraints, or if there are difficult neighbours who could potentially object the planned development). - Having a clear and detailed account of the conditions of the planning permit, including infrastructure charges. - A shorter wait until building works can begin. For sellers, the advantages of selling a property with planning approval include:- The likelihood of selling the property for significantly more money. - Having plenty of time to sell the improved property since a planning permit is usually valid for up to four years (two years to begin the build and then a further two years to complete it). Evidently, there is now genuine competition between both local and international buyers for the purchase of these exclusive permit approved properties.